The Eagle PC1884SE-CS Spec-Master Plate Cabinet is an NSF, sturdy, stainless steel cabinet. 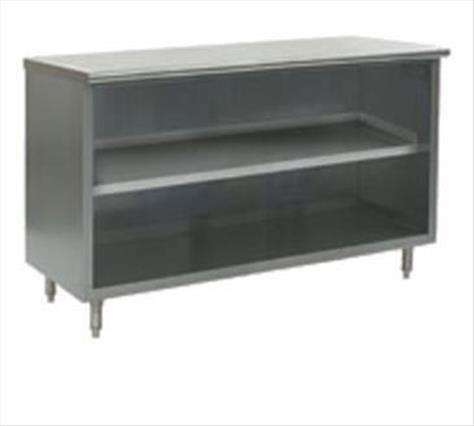 It features a stainless steel top, center shelf, and legs. It has an open base and front, and adjustable metal bullet feet. It measures 84"W x 18"D x 34-1/2"H.